Just this morning, I was musing at how often we subconsciously try to recreate the gardens of our childhoods. Like those lost, half- forgotten summers of our youth, where the sun always seemed to shine, I’m not sure that we necessarily remember them correctly. 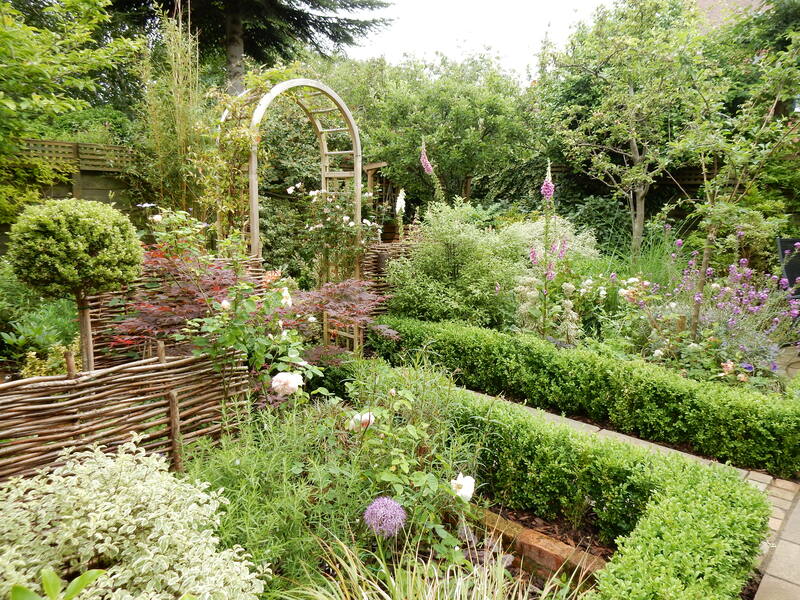 But trying to recreate one’s childhood garden can be a tricky thing, often open to failure. How do you recreate a dream? However, two of our best British gardens – Sissinghurst in Kent and Wollerton Old Hall in Shropshire, are the products of just such a quest. First, Sissinghurst. Did you know that the Vita Sackville West grew up as the only child of 3rd Baron Sackville in Knole, a vast pile of a house, with too many rooms to count (although some say there are 365 – one for each day of the year) and over 1000 acres. And here are part of the vast gardens that surrounded it. I can just imagine Vita as a rather imperious and solitary child wandering about this cavernous house all on her own. However, when her father died, due to the usual arisiocratic inheritence rules, Vita, as a female, was not allowed to inherit Knole and it was passed to a male cousin. Heartbroken, Vita had to move out and never set foot in her childhood home again. She first moved to Long Barn and, as she acknowledged herself later, it was there that she first tried to recreate Knole in microcosm- look at that topiary- just like the previous photo of Knole!. Vita bought it in 1930 with her husband Harold Nicholson,and here she tried to do the same thing again, always longing for “dear Knole”. Here she is, just having bought it, digging the first border. Of course Sissinghurst is now a magical garden and a very successful personal attempt at trying to capture a remembered idyllic time in her life. Moving on to a more recently made garden – Wollerton Old Hall in Shropshire- It’s not as well-known as Sissinghurst but is a lot of people’s favourite garden, including Chris Beardshaw off the telly! I once went for a private lunch with the owners (well, private for a group of paying fans like me!) and heard the story of how Lesley Jenkins and her husband John came to create it since 1984. Cut to many years later and Lesley, by chance hearing that the house and 4 acre garden is up for sale, goes to visit. To her huge disappointment the garden is not remotely as she remembers it – it’s largely laid to lawn with borders of overgrown shrubs. Hubby taking a breather from arduous garden visiting…..
What’s your childhood garden memory?